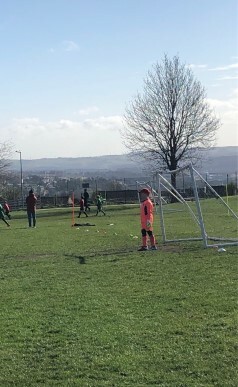 Sunday the 31st of March saw our sponsored team Golcar Under 9’s played the semi final of the Kirklees and Calderdale cup against Warley Road. After a very tense hour of playing, the boys lost out on a last minute goal from Warley Road resulting in the score being 6-5. We are very proud of all the boys for getting so far in the competition. All eyes are now on the league trophy and we wish them the best of luck as they edge towards the end of the season.